I'm not sure what this guy does exactly, but he's hired. "Grandtimes, singing, dancing, and carrying on" is the noblest profession there is. 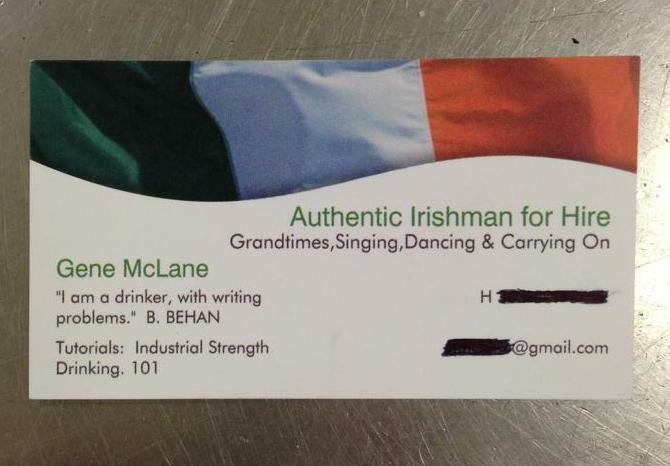 What a damn fine business card.